1966 BS175DT -- As stock as they come. 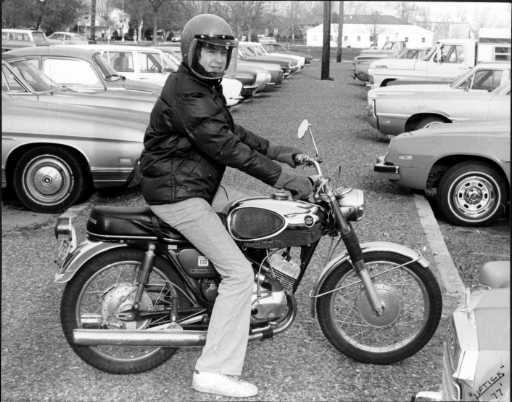 Impromptu snapshot taken in the winter of 1976 with me on it; my high school ride and first "real" street bike. Very quick and nimble (especially in that 126 lb. body I had once-upon-a-time.) Still have it (the bike, not the body). 1971 BS350GTO -- My second street motorcycle following search for more power and speed. (Found it) Picture taken in winter of 1976. Black and Chrome terror inflicted upon innocent townsfolk prior to marching off to the military in 1977. Mostly converted to GTR spec. 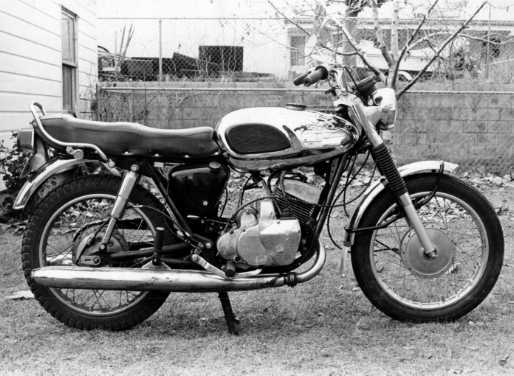 (low pipes, side cover, oil tank) prior to purchase. Still have this one, but it needs a complete rebuild since it didn't fare so well during my absence. 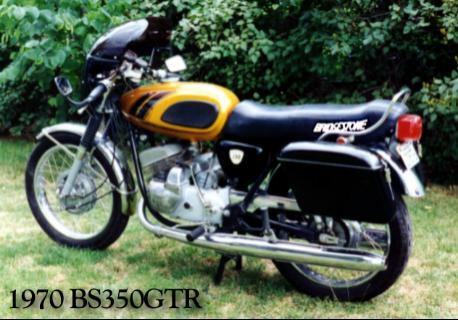 1968 BS350GTR -- Picture taken in 1978 prior to the addition of expansion chambers. Sport version has quarter fairing, low bars, bar-end mirrors, all-chrome gas tank, oil tank and side cover, Mulholland Shocks, ACCEL transistorized ignition, solid-state rectifier, halogen headlamp, Michelin Sport Compound tires. Speed withdrawals after entering the military forced acquisition of this replacement for the '71 I left behind. My current go-fast bike. 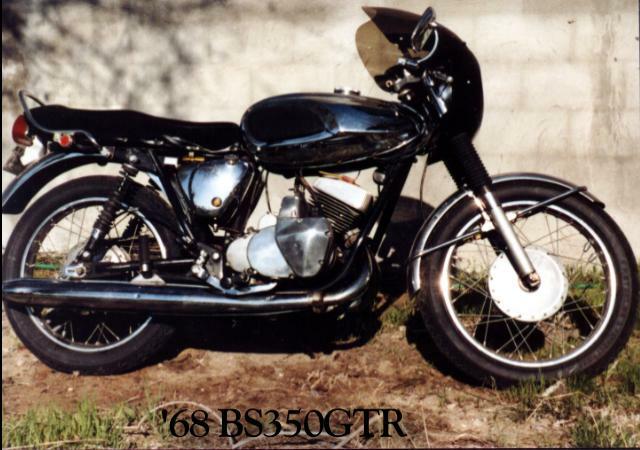 1970 BS350GTR -- Touring version has quarter fairing, low bars, bar-end mirrors, Rockford saddle bags, Metzler ME33 Lazer Sport Compound front tire & Pirelli Phantom rear. Purchased with only 650 miles on the odometer. My regular rider.